Hellas in on the corner of the junction of Main Street and the Lindos to Lardos Road. 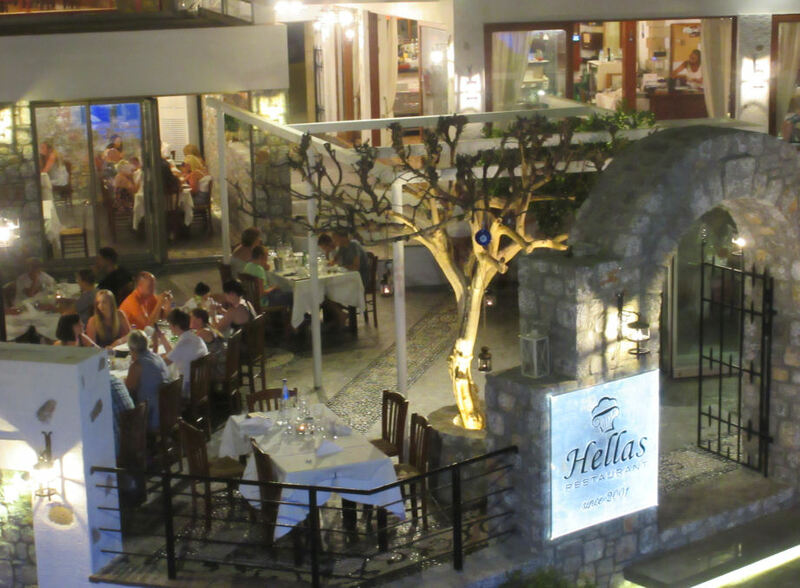 Hellas is a family run restaurant, serving a modern version of traditional cuisine, using spices from their garden, herbs from the mountain and the finest local produce. Even their olive oil is home produced (and very good). Hellas has always been good but since their refurbishment before the 2015 season, the standard is now really high. Their philosophy is to make the local cuisine more creative, and they really succeed. The design of the restaurant is influenced by Lindian architecture, with citrus trees, spices and aromatic herbs growing in the pebbled open air courtyard. 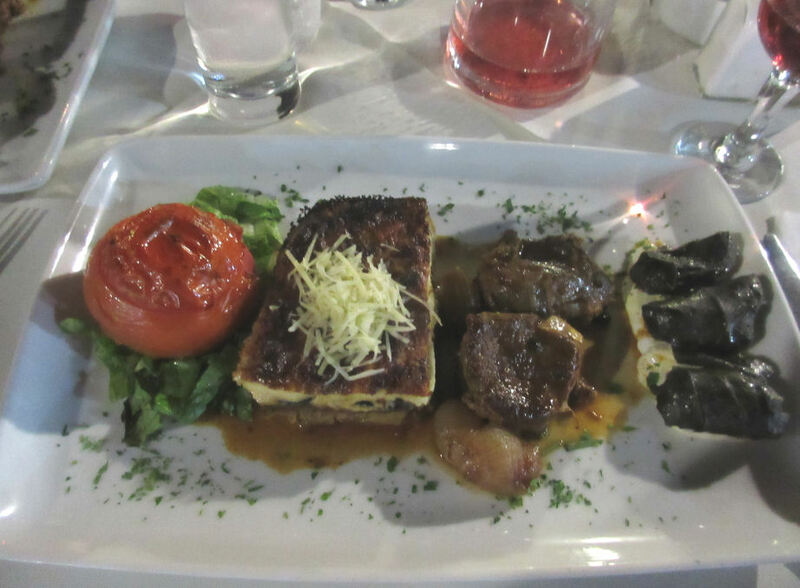 To see more of how they've successfully presented traditional food in a modern way, check out the gallery on the Hellas Restaurant Website.